This innocuous-looking par 3 offers more challenge than it appears at first glance. 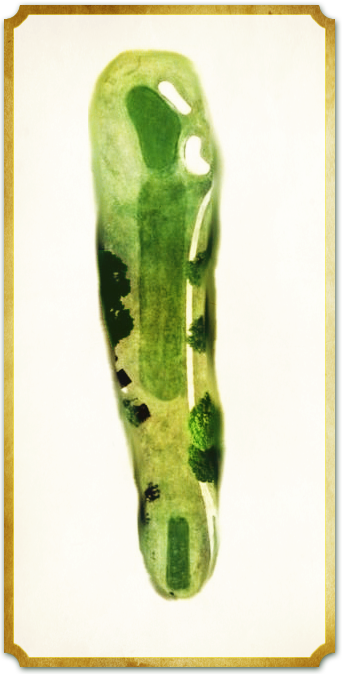 The elevated green is narrow, demanding an accurate shot in order to find the putting surface. The pair of bunkers guarding the right side of the green make for a tough up and down, as the green slopes away from any shot straying to the right. In addition, only a headwind can be felt from the tee, due to the stands of trees surrounding it. Hit the green and you will have a reasonable birdie putt. Miss, and you will face a real test to save par.